Jewish man on the left. 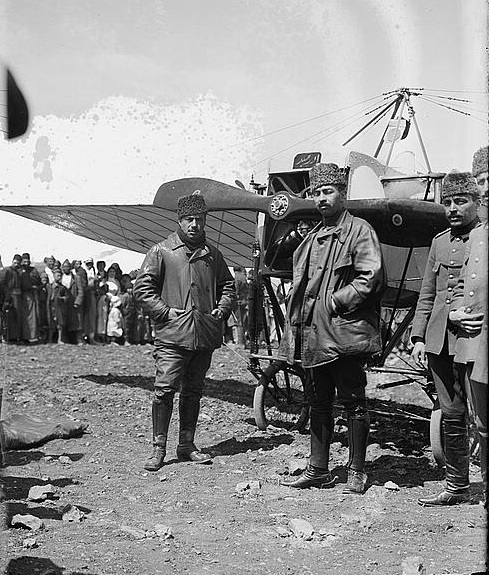 On May 1, 1914, Turkish aviators Salim Bey and Kemal Bey landed their aircraft in Jerusalem. And after that flight, it appears that military aircraft began to fill the skies over Palestine. 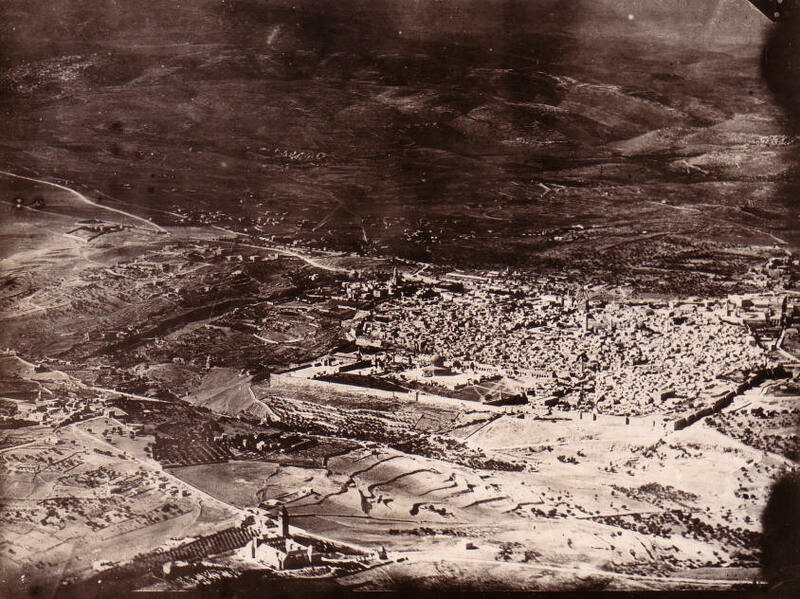 Aerial photo of Jerusalem taken by German pilot in 1917. 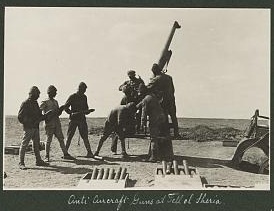 ﻿﻿Turkey utilized aircraft to provide intelligence during its 1916 attack on the Suez Canal and to observe British troops' two attempts to capture Gaza in early 1917. 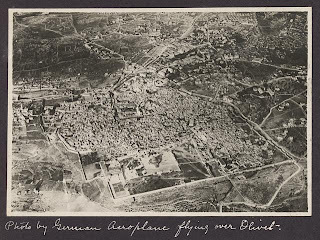 By the fall of 1917, German and Turkish aircraft had to be stopped from reporting back on British commanders' plan to unleash a flank attack against Be'er Sheva. 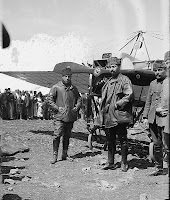 The challenge was met by British and Australian planes, and the Turks were caught unprepared. Thanks for sharing this one. 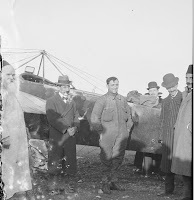 I didn't know that this is how they started the aviation industry in Israel.